Corban manufactures large-scale quantities of liquefied natural gas (LNG) ISO containers. With their rugged, weatherproof design, our intermodal LNG ISO containers are optimized for transporting LNG worldwide by rail, sea or road. Corban is an LNG tank manufacturer with years of experience in the industry. Our LNG ISO container is designed for performance, ease of operation and safety. Made with the highest quality materials available, our ISO containers guarantee years of operation and service, due to their construction. 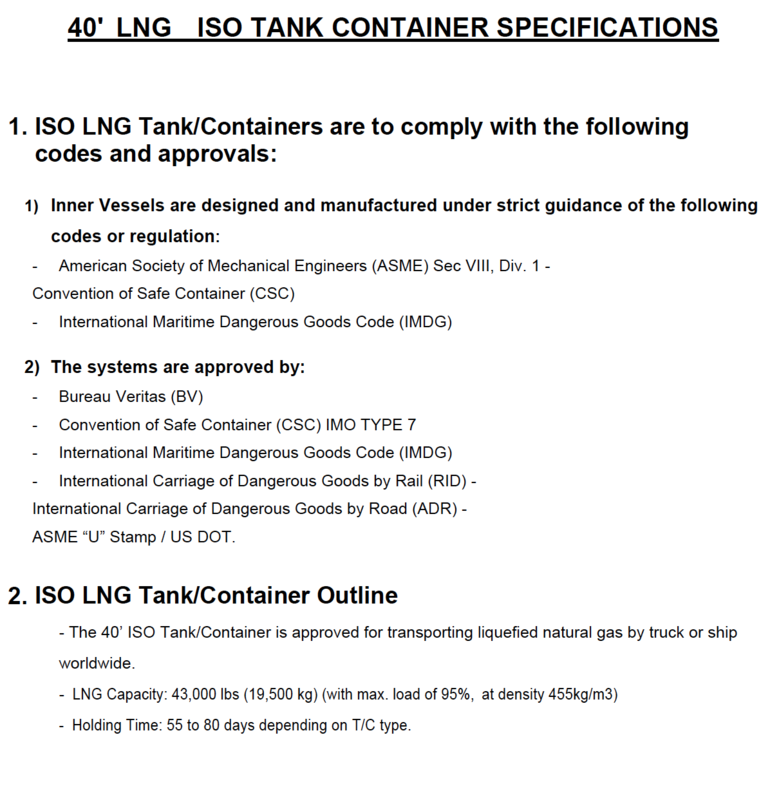 Having complied to all of the codes and approvals listed below, the containers are some of the most high-performing, cost efficient, and fully functional methods of transporting LNG resources today. Our comprehensive design-and-build services and standards set by our team ensure that businesses are receiving the perfect turnkey solution to their LNG transportation problems. Our transport trailers are also available for transportation applications. Corban Energy Group is capable of manufacturing batches of trailers for transportation and fueling purposes. Tested under strict regulations and approved by ASME, our trailers are a perfect means of safe transportation of LNG resources. Safety features and designs prevent spillage and leaks from the transfer of LNG from terminal to the truck’s tank. The tank has a double-wall design that protects the LNG from evaporating by ambient temperatures too quickly, as well as a boil-off gas management system that uses any vaporized gas as fuel for the transport trailer. Detailed specifications for our LNG ISO containers and transport trailers are available upon request.